Use Shipping and Handling self-adhesive labels on cartons and pallets to ensure proper handling and reduce errors with no more hand written instructions. 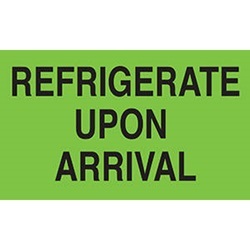 These fluorescent labels attract immediate attention while conveying a brief message that is easy to read and understand. 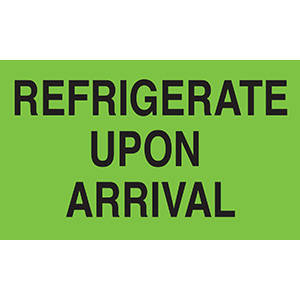 These pressure sensitive labels are made with permanent adhesive. Labels are on 3® cores and the overall diameter varies depending on size of label.